What better way is there to show your mum how much you care than by giving something that will make a life-changing difference to mothers in some of the world’s poorest countries. 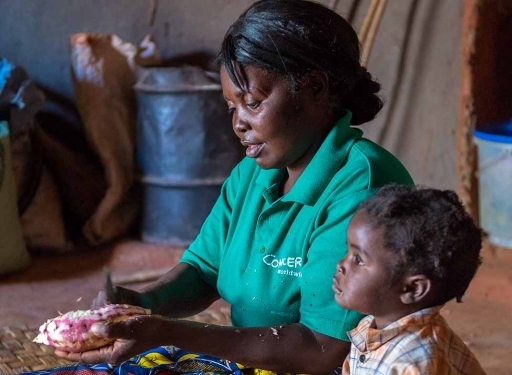 Just £20 will pay for sweet potatoes and help mothers like Monica, pictured, give their children the best possible start in life. Your gift of sweet potatoes will come with a personalized card or e-card to tell your mum all about the special gift you brought on her behalf. What’s more, you can send the e-card instantly – perfect if you left your gift-buying to the last minute! Your mum doesn’t have a sweet tooth? Browse our gift range for other wonderful gifts – from cooking lessons to apple trees.